A landing page is the first page of a website that a visitor sees when they ‘land’ on the site. The visitor may have clicked a link on Facebook, clicked on a PPC (pay per click) ad or found the site in the search engine results, and the page they arrive on is considered to be a landing page. Landing pages should be designed to lead a site visitor through your sales funnel and guide them to a conversion. Effective landing pages are carefully targeted, with a design that takes into account the traffic source so that, for instance, a prospect who clicks on a PPC ad promoting a particular product will see a landing page designed around that product and its benefits. Having multiple landing pages on a website enables this degree of targeting to be effective. A single, all-purpose landing page is not personalised to the search a person has carried out or the ad they clicked, whereas a range of landing pages can cater for the specific motivations behind an individual’s clicks, which will be far more suitable for a visitor’s needs. This kind of customisation provides the opportunity for online businesses to guide visitors more efficiently towards conversion. You might be thinking that setting up multiple landing pages is a task for huge brands with unlimited resources at their disposal. However, small- and medium-sized businesses can benefit from creating and promoting a range of landing pages, too, and it’s not an unworkable idea. When you start to consider the many benefits, from higher conversions to better SEO, you will realise that creating personalised, targeted landing pages is well worth the investment for brands of any size. When a visitor lands on a webpage that is relevant to the product they searched for, they will be instantly engaged with what you have to offer. If, on the other hand, they land on a generic homepage where they have to search for the item they want, they can quickly lose interest. Tailored landing pages can also offer more individualised offers and calls to action. As these will inevitably be more relevant to what the customer is looking for, they are likely to have more success than more generalised offers. Landing pages can be a helpful way to improve lead generation. If every link you share leads to your website’s homepage, you are missing out on the opportunity to take advantage of the context of each customer’s journey. Having different landing pages for different contexts, on the other hand, allows you to carefully target the customer journey, basing it on the motivation behind their original click. If the customer clicked on a PPC ad promoting a specific service you offer, directing that person to your website’s homepage is a missed opportunity. Directing them, instead, to a sales or information page designed around the service in question will make a big difference to your conversions. If you have email sign-up forms or ‘buy’ buttons on your tailored landing pages, you can store your customer information based on the landing page each individual converts on. This allows you to segment your audience data and personalise your future communications to suit each person’s specific interests. 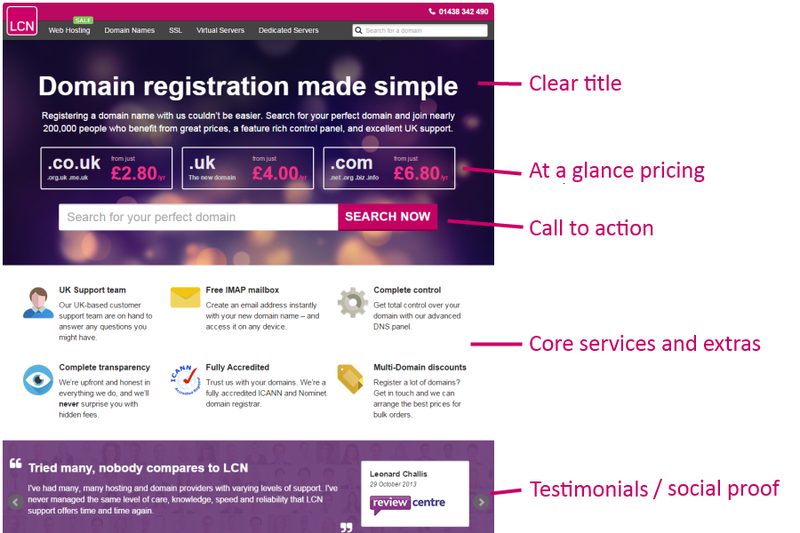 When you have a range of landing pages in place, it becomes easy to compare the success of each one. 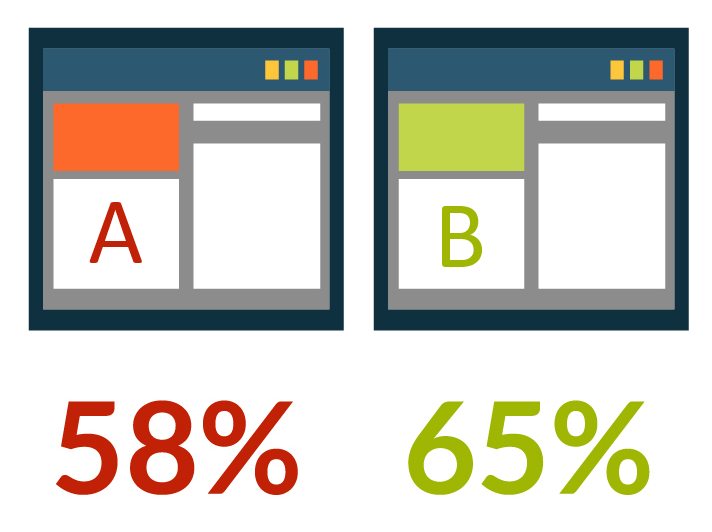 If one page outperforms the others, you can look at each element and find out what is working well. In the same way, if one page has disappointing conversion rates in relation to the others, it is much easier to identify where the problems are and remedy them. A/B testing here is key. Comparing the effectiveness of different landing pages can also provide valuable audience data, offering guidance on which products, services or content your prospects are most interested in. This can help to guide your future promotional strategies. For every unique landing page you have on your website, you will naturally include more key words and phrases, all of which can help your search engine optimisation strategy. Each landing page you create can be indexed by the search engines, creating a stepping stone between somebody’s search terms and the targeted content that person sees on your website. To avoid being penalised for duplicate content and to increase the number of long-tail key words on your site, make sure each landing page is unique (i.e. don’t reproduce the same copy on each page and only change keywords, locations or product names) for the best results. If you want to test whether free shipping or a 15% discount is more appealing to your customers, setting up multiple landing pages can provide you with a relatively easy way to test out different offers and measure their success. Over time, as you learn more about your audience’s preferences, you can test more and more granular offers to really get the best conversion rates. As well as pitting one offer against another, you can also experiment with different page designs and website copy. There are many different elements to landing page optimisation (check out our Beginner’s Guide to Landing Page Optimisation to find out more) and having a range of landing pages allows you to test out what your highest-converting customers prefer. Whether you aim for 5, 15 or 50 different landing pages on your website, the benefits of creating a selection of tailored pages to guide your customers through a targeted conversion funnel are clear. Will you design and create more landing pages for your website? Tell us in the comments below!